With a grandmother from New Orleans, one quickly learns that food is no passive event. This is clear with one glimpse into her fridge, with its cartons of whole milk (or in her words: “real milk”) and marmalade that tastes, in the words of my father, “like battery acid.” Local restaurants know she is a force. Whenever we frequent Mother’s, a family favorite tucked away in the French Quarter, she questions the waiter on the type of oil used to fry okra, just how fresh the catch of the day is, and, always, if banana pudding is still available. No time is her zeal more evident, however, than when she cooks. As such, I was as much thrilled as intrigued the day she told me I would learn how to properly prepare red beans and rice. We followed her inherited recipe with one crucial modification: “triple the parsley, triple the celery, and (most important) triple the onions.” We spent the majority of that sunny afternoon peeling, chopping, seasoning, and stirring onions until the entire house smelled like a simmering pot of Creole spices and French butter. Meals with her made clear that there was much more to food than simply eating.  When Paul and Paige told us that Brazos Fellows would be going on a food retreat, I had a sense that I was equipped for a weekend of cooking and talking about cooking. My grandmother’s legacy, this “triple the onions” mindset, taught me to take delight in the good when it comes: to keep an ever-present bag of fresh limes in my kitchen, to add five minutes to my work commute to drive by the Brazos river, and to decorate my desk with a painting of my favorite purple tree. In the days leading up to the retreat, I thought we would primarily discuss this kind of “receiving delight.” It would be a weekend, I expected, to taste and see beauty. During the late afternoon drive down to Cedarbrake Renewal Center, I could not help but remember a conversation I shared with a friend as we drove on the same highway a few years before. In the middle of writing her thesis on Wendell Berry, she reflected on how many of his texts challenged her to think about the nature of beauty as, ultimately, odd. “No one has to tell you something is beautiful,” she explained as we drove through the sunset, “you just know it.” For this reason, beauty is epistemologically unique; you do not have to be taught that something is beautiful to know that it is, at least in its most fundamental sense. In other words, it is a manifestation of what you know to be true. Beauty give us a sure glimpse of something as undeniably good. The food retreat weekend was indeed full of delight. It included cooking demonstrations from Waco’s Julia Child: Father Lee. His first advice was to “always use fresh citrus,” which he explained while generously stacking lemons on our evening’s salmon. The weekend included chicken stuffed with the garden’s rosemary, the best homemade bread I’ve tasted (less yeast and a longer rise is the secret), goat-cheese and parmesan quinoa salad, a vinaigrette with 15 freshly minced cloves of garlic, and a berry cobbler tart enough to leave our bowls thoroughly scraped. Better yet, we ate all of our meals around a table warm with candle-lit conversation. Like the sunset-drive with my friend years before, this was undeniably beautiful – a manifestation of good. The weekend also came with other delights. This Texas winter was just cozy enough for us to light the fireplace in the living room; we happily spent our mornings and afternoons warmed by both the fire and the wall-tall windows. Here, Wendell Berry made an appearance, as he usually does in such settings.Our weekend house was wrapped in a wooden porch, with oak trees and a quiet river all around. My grandmother prepared me well to enjoy such a feast. Towards the middle of our retreat, however, our conversations shifted to a place somewhat less familiar. Paige asked us to consider the number of stories in Scripture that involve a meal. Beginning with the Lord’s Supper (Luke 22), we then thought of the manna in the wilderness (Exodus 16), which Christ referenced to His disciples when he told them, “I am the bread of life” (John 6:35). We thought of Abram feeding the three men (Gen 18), Esau selling his birthright for a meal (Gen 25:34), Ruth gathering grain and barley the gleaning fields (Ruth 2), Christ’s first miracle taking place at a feast (John 2:1), and feeding the multitudes (Mark 6, Luke 9). There’s a meal at the beginning as Adam and Eve taking and eating the fruit is a meal of sorts (Gen 3:6), and also the End, to those invited to the marriage supper of the Lamb (Rev 19:9). The Word writes of meals in both Eden and the Eschaton. “It seems,” Paige noted, “that God often reveals Himself at a table.” In the words of Catholic philosopher Russell Hittinger, there is “something divine-like” in this entire endeavor. James Parker begins a lovely essay on Dorothy Day by explaining how the saints, “the radiant, aberrant beings next to whom the rest of us look so shifty and shoddy,” possess an altogether separate understanding of reality. He writes that “they have penetrated the everyday atomic buzz and seen into the essential structures.” The table seems to allow us to do the same, even if just for a moment; it gives us the chance to see through a different lens. The table as a place where God reveals Himself seems uniquely able to help us see “into the essential structures.” What are some of these structures? We spent the weekend discussing a few. In our growing, frantic efforts to “autonomize,” the table reveals man’s total dependence. Regardless of place, wealth, or age, all are utterly vulnerable to being fed. Moreover, as we Westerners continue to disconnect further from our physical places, the table reminds us of our interconnectedness. There is no isolated meal; all are contingent on the labor of planters, gatherers, and merchants who themselves are at the mercy of increasingly unpredictable forecasts. In our effort to remove all vestiges of death from our sight, food shows us otherwise. All meals, be them plants or grain, fish or lamb, were at one time alive, yet must die to be consumed. Meals are essentially sacrificial, a memento moriof sorts. A common theme in all of these revelations is that they remind us of the truth about ourselves: we are dependent, interconnected, mortal. The table not only helps us more truly see reality, but also invites us into it. Food truly is no passive event: it is inherently participatory. Before we eat, we first peel, chop, season, and stir. In doing so, we sub-create, entering into the “essential structures.” After this toil, we do not simply gaze upon the good, but partake in it. The table, too, is not passive; it is, by nature, invitatory. A universal gesture of hospitality, the table remains a physical space where self and others come together to give and receive. All this to say the table is ontologically sacramental, a place which makes “visible the invisible mysteries of God” (Hittinger). When we truly partake at the table, by extension, we “participate in the mysterious reality to which it points” (Boersma). Prior to the retreat, I understood beauty primarily as something to be adored. Though attempting to avoid an empty hedonism, I still settled for something sentimental at best. I was, in the famous words of Lewis, “far too easily pleased” with desires “not too strong but too weak.” Like all affections, these too need to be ordered rightly. There are, of course, manifestations of beauty which leave us succumbed to awe. In such cases, we can only “offer praise in silence,” in the words of the ancient Syrian poet Ephrem. Yet at times, Beauty asks more. As I look back, my red beans and rice afternoon with my grandmother points to something truly mysterious: we partook in the “invisible mysteries” unknowingly. We cooked and, in doing so, remembered; we gathered and invited others around the table. Though for us it was solely an afternoon of delight, we participated in goodness. We were given a gift without even being aware. In this sense, all participation is an act of grace. Though we are not worthy so much as to gather up the crumbs, He feeds us still. All of these meals, I believe, prepare us for the only one that will fulfill completely. We hunger for the bread of life and we thirst for His wine. Turning again, of course, to Lewis, we find a helpful illustration. In the second book of Lewis’ space trilogy, Ransom finds himself on the golden planet Perelandra. He comes across “great globes of yellow fruit” and hesitantly gives one a taste. “It was like the discovery of a totally new genus of pleasures,” Lewis writes, “something unheard of among men, out of all reckoning, beyond all covenant.” Immediately after, Ransom reaches out to grab another fruit, “in favour of tasting this miracle again.” Yet he does not, for to his great surprise, “it came into his head that he was now neither hungry nor thirsty.” He took and ate, all longing fulfilled.